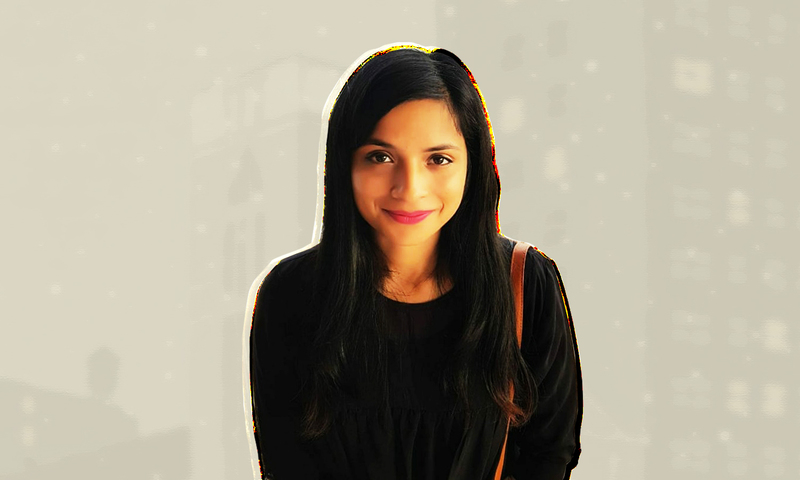 While we spoke to a lot of industry leaders about the challenges they face in the Data Science and analytics industry, this week we interacted with a research scholar from a STEM background to get a first-hand view of how it is to be a woman PhD student of Indian origin in a foreign land. Currently pursuing Molecular Biosciences at the University of Kansas, Oindrila De shared gender-related challenges that women face in any career path. She shared her insights on challenges that women face at a global market and what are the steps that can be taken to reduce gender gap and build a diverse, inclusive environment. On being asked if she has ever faced gender disparity being in the STEM background she agrees there have been certain situations in her career. But she made each experience to her advantage and came out stronger. “In my field, it’s tough to switch once you unknowingly choose a difficult workplace. During such situations, I have focused completely on my project and worked really hard to gain enough professional skills and that helped me to then apply for a better place where I am valued. The only strategy that has worked thereafter is to be extremely careful in choosing the correct working environments,” shares De. Is the scenario any different in a foreign land? “The situation is not much different here”, De is quick to add. The main difference is the lack of awareness and resources in India. In most developed nations, most schools and universities are open to discussing the topics around gender disparity, and there are dedicated seminars and events that can be attended by students, faculty and staff. “There are also various organisations and programs here that sincerely work towards gender equity. Thus, here you are more likely to be aware of the resources available to you to tackle such situations and you’ll mostly be able to overcome it,” she says. Many research suggests that girls are less likely to study STEM subjects and De believes the main reason for it is that globally women are often not promoted and/or deservedly rewarded for their efforts. Creating more awareness of the importance of STEM fields and careers thereof is the key here to inspire young girls. “At my University, there are different programs wherein junior STEM students from diverse cultural backgrounds are mentored by seniors for their professional development (e.g. WiSTEMM program, JBB programs at KU). As mentors, we encourage them to take up leadership positions, conduct small career-related projects, participate in seminars/conferences, build up their resume and brand their skills. We also have outreach events (e.g. Kansas DNA Day program) wherein we visit high school students and create awareness about STEM fields by incorporating some real-life applications into their regular classroom science courses,” shares De. Besides, there are also various initiatives taken by the scientific communities here (such as the Genetic Society of America), which provides mentoring and networking opportunities to researchers and educators. These initiatives do motivate students to choose or continue in STEM fields and also helps reduce the gap. De believes that there is a ‘subconscious’ bias in the recruitment process when it comes to recruiting women in technology. “I’m not sure if I faced any because I was never told on my face that I was rejected on the basis of my gender,” she says. However, she believes that “blind recruitment” or “anonymity” in the application process may overcome this issue but it’s more challenging to make the interviews unbiased. Occasional evaluations that assess the quality of recruiters on the basis of their records and their decision-making skills may be a possible option. Also, effective incorporation of candidate feedbacks in the recruitment process can be really valuable. Women also face bias when they have to take up senior management roles. “This is particularly evident during promotions wherein women have to work harder to get to the next level. At most universities, there are small numbers of female professors and advisors. And if not promoted, they are often forced to take up other roles and multiple duties in the organization for which they are not adequately rewarded. This stagnates their progress in the field,” she says. Institutions need to take more efforts to recognize women in STEM and acknowledge them for their roles. “Being surrounded by people who boost up your confidence is a major stress-buster. Organizing your week beforehand and dedicating specific time periods every week for meaningful recreation is a necessity. Also, participating in as many leadership and volunteering opportunities not only helps to grow professionally but also helps to channelize your energies and stay focused. The best tip is to remember that your workplace is only a small part of your life,” says De on a concluding note.